With recent done of its Release to Manufacturing stage last week, and with speculations high of replacing “Metro” branding, as per the internal memo. 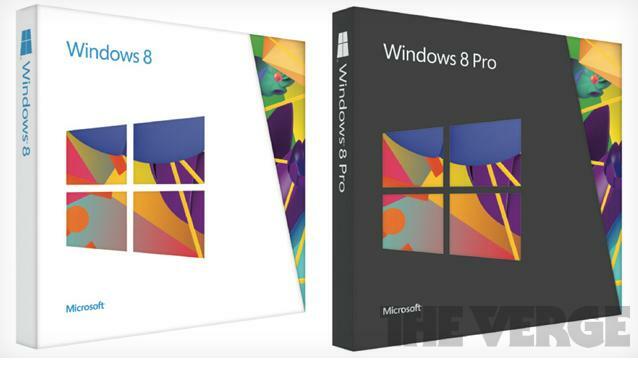 The Verge have secured and published the shot of physical packaging copy for Windows 8 and Windows 8 Pro, the only boxed versions available in retail stores. The company has displayed its Metro Style Windows 8 UI logo on the front of the packaging, with a darker variant choice for the Windows 8 Pro edition. The new operating system versions i.e. Windows 8, Windows 8 Pro and Windows RT will be available on new PCs and tablets from October 26th.